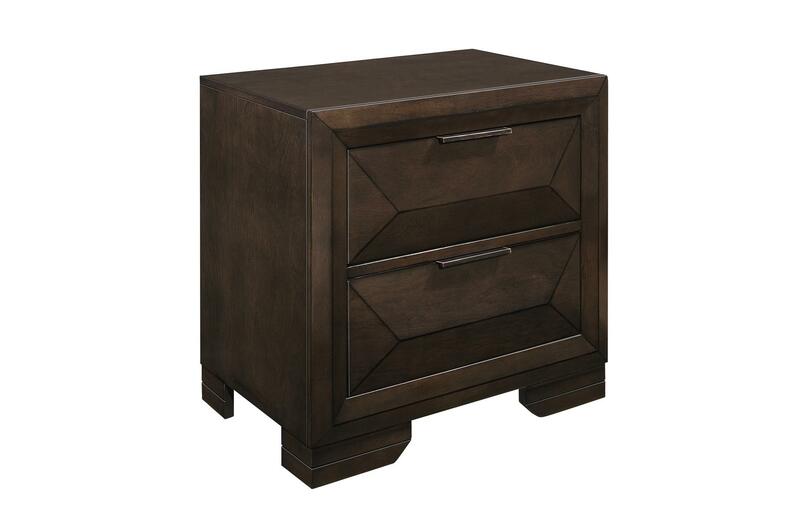 Contemporary design and convenient functionality intersect in the design of the Chesky Collection. 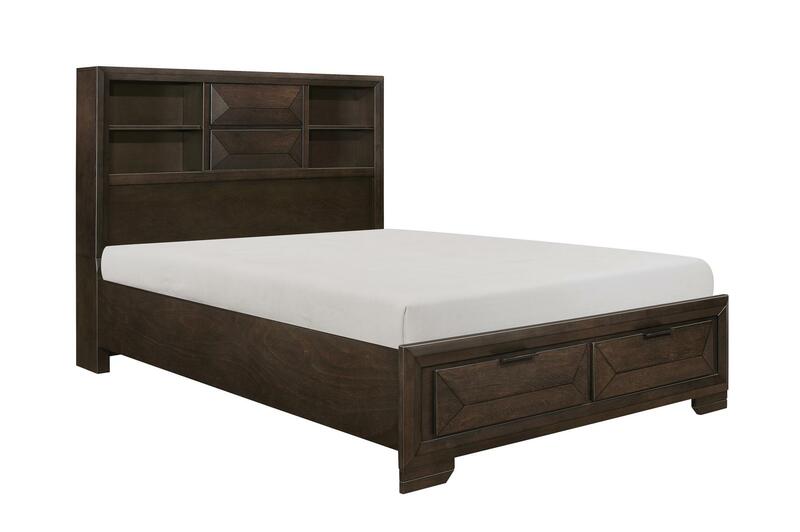 Birch veneer is finished in a warm espresso in this unique bedroom offering. 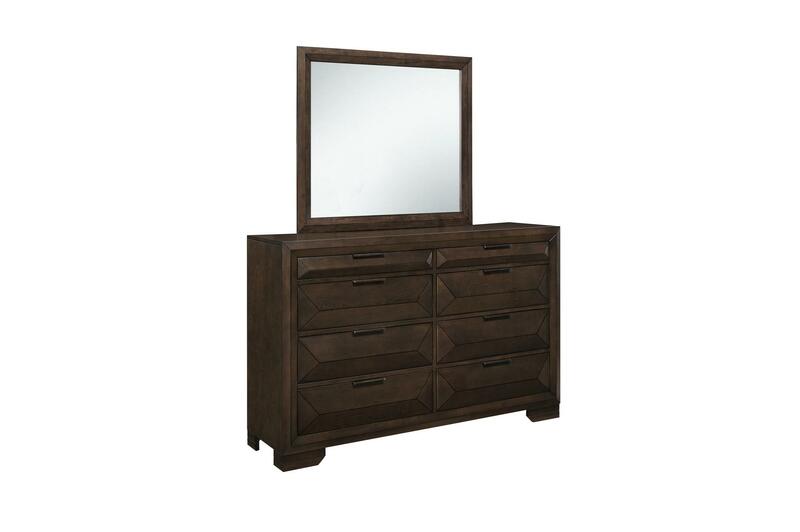 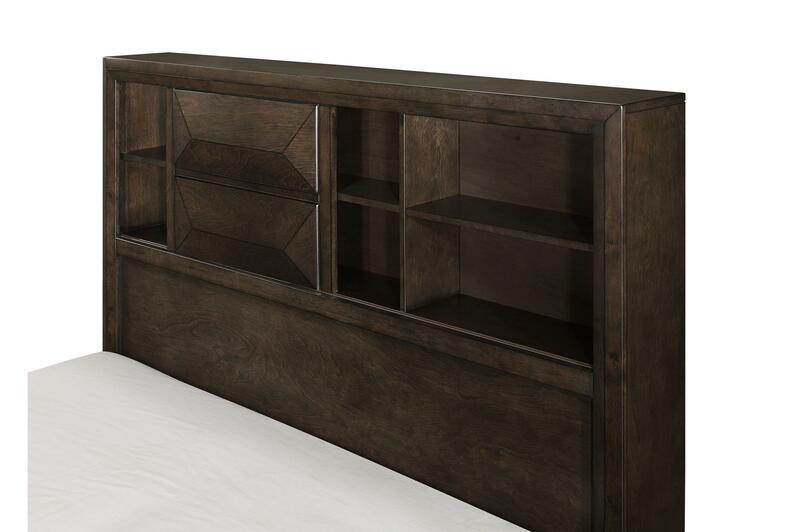 Raised panels provide visual interest to the drawer fronts, headboard, and footboard. 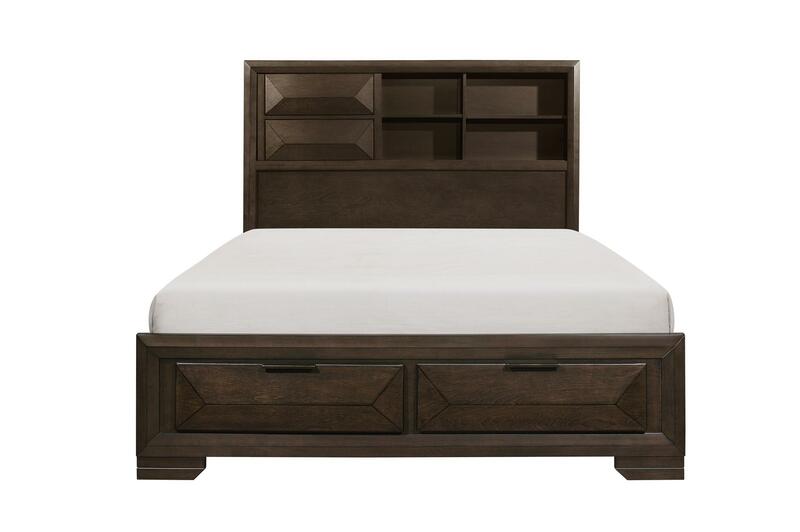 The bookcase headboard provides ample storage and display space as does the storage drawer footboard. 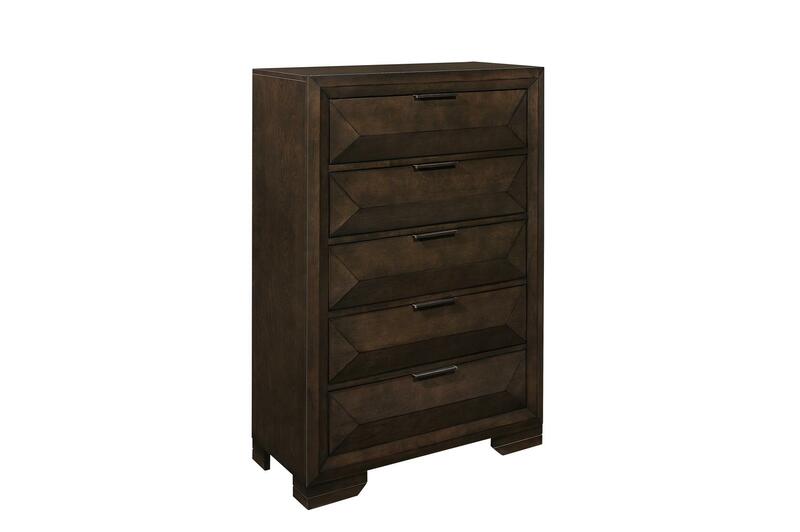 Complementing horizontal metal hardware lend additional accent to the case pieces.